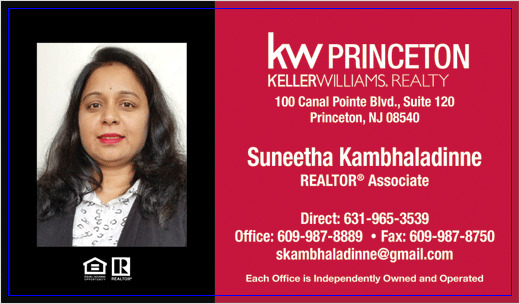 I am Suneetha Kambhaladinne working at Keller Williams Commercial. Feel free to contact me for your Residential or Commercial Investments. PLEASE CONTACT ME AT 631-965-3539.